Fedora 12 for Linux, Fedora developers have officially released Fedora 12. This version has a kernel version 2.6.31 and GNOME or KDE 4.3 2:28. This is the version of Linux sponsored by Red Hat. KInfoCenter 4.3.4 for Linux, KInfoCenter provide users with information about their system, so that can easily master the equipment they are using. KSystemLog 0.4.1 for Linux, Linux saved all the work on your system. You just need to know where to find these documents. For convenience, KSystemLog will collect that information for you and displays it in the application window, all with the simple click of a button. Simple Backup for Linux, one of the decisive factors in the process of using computers is that backup and restore operating systems. In the following article, would like to introduce to you how to back up Linux with supporting tools Simple Backup (Sbackup). 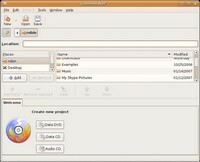 SCIM for Ubuntu, SCIM is a multilingual percussion, is installed by default in versions of Ubuntu 9:04 onwards. OpenSUSE, like Fedora, OpenSUSE Linux distribution also relies heavily on the contribution of the community. Novell is currently developing and distribution company OpenSUSE. Liferay, Liferay Portal is an enterprise solution for web-based platform with the ability to bring results almost immediately and long-term use value. Gtkorphan, GtkOrphan graphical tool Perl / Gtk2 can operate with deborphan Debian system scan in search of surplus library. The program can analyze the current state of the installation and add the ability to remove the package. Startup Manager, Startup Manager is a tool that allows you to easily configure some settings in the GRUB boot menu. The program can operate on all Debian system. SystemRescueCD for Linux, SystemRescueCd is a Linux distribution is indispensable for network administrators. SystemRescueCd supports users in addressing the problems of the operating system, restore and repair the data when the system fails. Linux-gamers Live DVD for Linux, Linux-gamers Live DVD is a Linux distribution with familiar games on Linux, can be used directly on discs for preinstalled. Ubuntu Christian Edition (32-bit), Ubuntu Christian Edition (abbreviated as Ubuntu CE) distribution is preconfigured to protect users against bad content on the Internet, with many application comes towards people with religion. Ubuntu Christian Edition (64-bit), Ubuntu Christian Edition (abbreviated as Ubuntu CE) distribution is preconfigured to protect users against bad content on the Internet, with many application comes towards people with religion. BackTrack for Linux, Backtrack is a live CD Linux (runs without installation) is updated quite frequently. Redo Backup and Recovery - LiveCD for Linux, Redo Backup and Recovery is a program easy to use tool for point-and-click backup and restore the entire system allows fast copying the hard disk image and go from another drive or network share. Play On Linux, "Play On Linux" sounds like a game but is actually a very useful software that you can install and run Windows applications including Microsoft Office on Linux. BleachBit for Linux, BleachBit is a system tool that allows you to display and delete unnecessary files. This is a good way to free up disk space, maintain privacy, and remove redundant files offline. TouchFreeze for Linux, you feel uncomfortable when you are typing a document and accidentally hand touched the touchpad, position the cursor making changes in your document.